given that the grounds would be shorted, and thus so would the second cell. So, does this mean I have to resort to a specialised 7.4v circuit, or could I manage with a 3.7V circuit (that I have 3 spares of with me currently, which is why i want to use it). 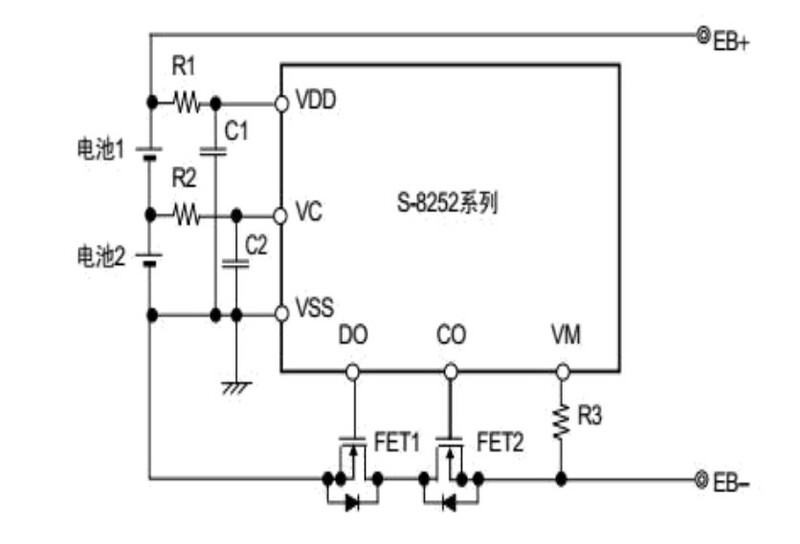 Furthermore, the datasheet on Rapid Electronics for that battery pack lists that it has over-charge and over-discharge protection - does this mean I can hook it up to a 8.4V (safe current limit of, say 500mA once near full) bench power supply? This would be even more convenient to charge, but I do not want to damage the battery if this is dangerous. page three of the data sheet has the internal circuitry of that battery pack. 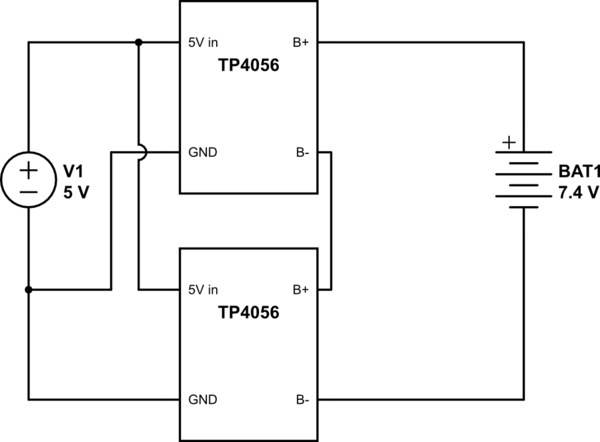 the chip https://pdf1.alldatasheet.com/datasheet-pdf/view/736555/SII/S8252.html doesn't seem to have the capability to balance the charge on the cells - VC is an input only. I don't know if that will cause problems or not. but either way it will be safe to use a voltage and current limited source to charge the battery pack. Jasen's answer includes a good solution. If Vbat = CC to 4.1 then CV with cut-off at 10% CC and say mAh capacity difference between cells reaches 10%, one cell will reach 4.1V before the other so as the charger target is now 8.2V the weaker cell is now getting overcharged while the stronger one is still catching up. Hence a Balancer reduces the rate of aging or cell mismatch because the pack fails with the weakest cell. Charge overcurrent detection function “available” / “unavailable” is selectable. Not the answer you're looking for? Browse other questions tagged batteries charge lithium or ask your own question.